Klayman: Time for Israel to Finally Remove the Iranian Threat With Whatever It Takes! World War 3 fears were sparked this week after Israel hit the Syrian capital of Damascus early on Monday as part of its increasingly open assault on Iran's presence there. 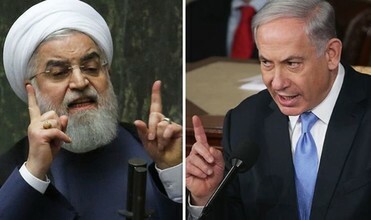 In response, Iran issued a chilling message to arch-enemy Israel — warning it is "impatient" and ready to confront and destroy the nation in a statement issued just hours after Israel launched the air raids in Syria. The former Pentagon official Michael Maloof has warned the situation between the two states is getting "quickly out of hand" due to the "intensified Israeli attacks." Mr Maloof told RT America: "You have got to keep in mind that the alleged Iranian attack was in response to a prior Israeli attack on Syria.